On the aggressive side, to be honest. A proper first person dungeon crawling Elder Scrolls RPG on a mobile screen is a huge deal- it’s not a full-blown Elder Scrolls experience, but it comes close enough to emulating it on mobile devices, allowing you to jump in and anywhere and at any time. That said, being a free-to-play mobile titles comes with sacrifices of its own- like microtransactions, of course. 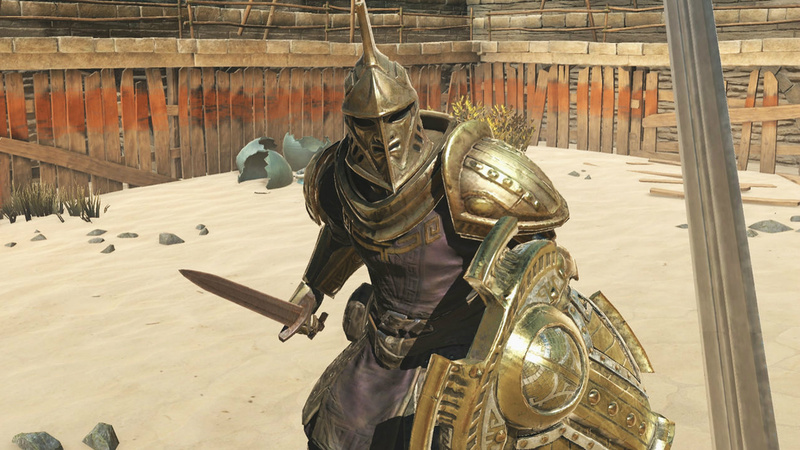 With The Elder Scrolls: Blades recently having entered early access on Android and iOS devices, monetization in the game has come to light with people getting to go hands on with it (via Kotaku AU)- and it’s a little on the steep side. The Elder Scrolls: Blades rewards players with chests at the end of its dungeons, chests which are full of loot for you to gather and use. But while in the early goings, these chests come with no strings attached, after the game’s opening sections, the chests require gems to be opened. It’s either that, or, in typical mobile game fashion, you wait for a timer to count down to zero to be able to open the chest. Of course, you can purchase the required gems with real world money, if you don’t want to wait around for the timer. And the pricing for said gems? A little steep, as I mentioned. Gems can be bought in various increments. $2.99 buys you a collection of 160 gems, $7.79 gets you 500 gems, $14.99 gets you 1200 gems, while $30.99 gets you 2500 gems. You can also spend $79.99 to get 6,500 gems, or go all-out and purchase 14,000 gems for a price of $159.99. How much gems do you need to open chests? That’s where it gets interesting. Golden Chests cost 250 gems, Elder Chests cost 750 gems, while one Legendary Chest will set you back 2500 gems. Of course, you get better loot with each of those progressively- but that essentially means that to get one chest full of the highest tier loot available (that being a Legendary Chest), you have to spend $30.99 (which is how much 2500 gems cost). For $159.99, you get enough gems to open five Legendary chests (and then have enough gems left to open two Elder chests). As I said, that seems a little steep. That said, The Elder Scrolls: Blades is currently in early access, so there’s always the chance that Bethesda will revise these rates before the game’s full launch.